of the senior side in 2017, playing the final five games of the season. Cam’s trained really well all summer. He’s been up there in his time trials and has been strong right through. We expect Cam to have a really good year for us. The 25-year-old played 13 games in 2017 and reached the 100-game milestone in the final game of the season against Essendon. The 25-year-old averaged 15 disposals with his best performance coming against GWS with 21 touches, eight marks and five tackles. Sutcliffe stood tall in defence taking 108 marks, the third most for the club in 2016. Finished strongly with nine marks and 24 disposals in round 23. Sutcliffe remains a handy player in the back-six and is a useful ball user. He broke through 20 touches four times in 2015. 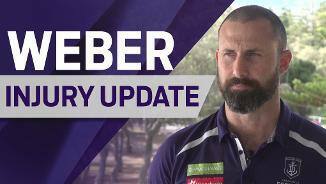 Sutcliffe is now entrenched in the Fremantle back six after a very good 2014 season. He has nice skills, is super fit and will continue to improve. After appearing as a sub regularly throughout the season, Sutcliffe played the entire game in the qualifying final and was important in a defence missing three players. A string of classy performances in the WAFL saw Cam Sutcliffe earn his AFL debut in round 15 against the Western Bulldogs at Patersons Stadum. He played that entire game and then started as the sub in the following three games. 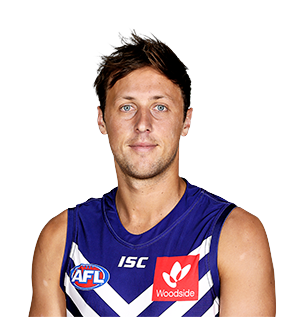 Sutcliffe managed to rank top 15 for clearances per game (1.5) at Freo in 2012 despite his compromised playing time. 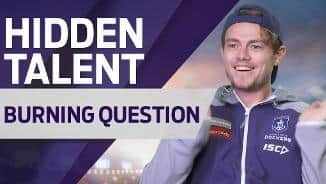 The young South Australian didn’t play in a losing side and showed enough poise and skill to suggest he can play a larger role in 2013 and beyond.